What is the "Wesleyan" church? You might well ask the questions: "What is the Wesleyan church?" "Is it another denomination?" "Is it Catholic, Episcopalian, Baptist in origin?" "Does it share my core beliefs, my theology?" We invite you to take a tour of our site, where you will find the relevant answers to your questions. The Wesleyan Church is an evangelical, protestant denomination, which derived its name from its founder, the renowned English evangelist, John Wesley. We offer the good news that faith in Jesus Christ makes it possible for us to have a wonderful, personal relationship with God, a holy life empowered by His Holy Spirit for witness and service, and the assurance of eternal life in heaven. The Wesleyan body of believers has a collective membership of approximately 400,000 persons in 5,000 churches and missions, in 90 countries of the world. It dates back as far as the abolitionist and holiness revival movements of the 19th century, but the church as we know it today is the result of a merger, on June 26, 1968, between the Wesleyan Methodist and Pilgrim Holiness churches. The Jamaica-Queens Wesleyan Church started when, in May 1983, Pastor Sherlock Delph consented to pastor this new church, at the invitation of Pastor Louis Goodman. At its inception, the congregation of the Jamaica-Queens Wesleyan church comprised just nine founding members - Pastor Goodman, Pastor Delph, Mrs. Delph their three children and 3 other persons. The church was established under the umbrella of the Penn-Jersey District of the Wesleyan Church, which helped them, as their numbers grew, to acquire a parcel of land in South Ozone Park, New York, for the establishment of the new church. After experiencing considerable difficulties in constructing a new building in New York City, the church entered into an interim rental agreement with the owners of a building on Linden Boulevard in St Albans, Queens, which was used to hold our worship services. The church was later able to purchase a completed building at its current location of 134-49 228th Street, Laurelton, Queens, New York. 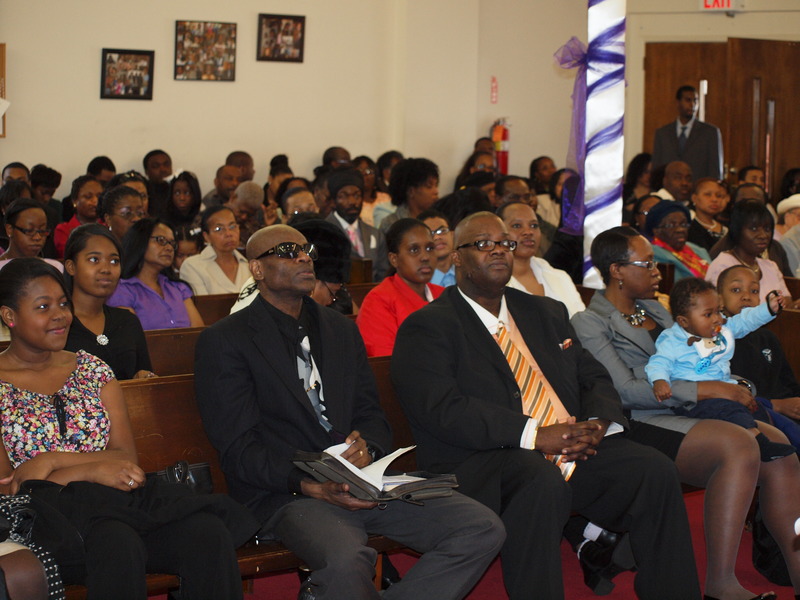 The Jamaica-Queens Church does not however confine itself only to the servicing of its congregation in one location. It has established a network of prayer groups in various boroughs, so that meetings could be held in areas closer to where most persons live. Prayer Groups exist in Far Rockaway, Laurelton, Jamaica, Queens Village, St Albans, South Ozone and Brooklyn, and may possibly be in an area near you. Should you be interested in joining us at any of these meetings on Wednesday nights at 8:00 pm, please feel free to contact us. These groups continue to be the nucleus for evangelism, discipleship, fellowship, worship and service. Our church can also be contacted to perform services related to the dedication of children, water baptism for believers, weddings and funeral services, and we invite you to come and visit us during any of our services, and share a wonderful time of worship, praise and fellowship. You can find a Wesleyan church near you. Please click on the link.